The Government yesterday rolled out sweeping incentives for all social segments of the country presenting an all-inclusive Budget for the year 2019. The Budget also included a series of new proposals to meet revenue targets and successfully confront the fiscal challenges. 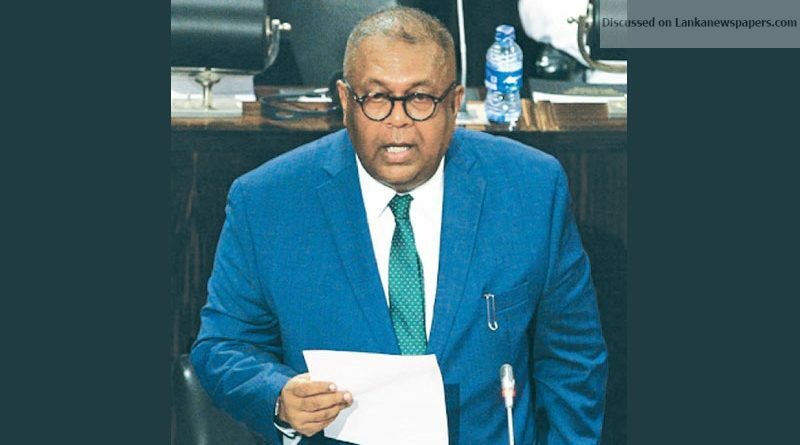 Finance Minister Mangala Samaraweera, delivering the 2019 Budget speech themed ‘Focusing on Empowering the People and Nurturing the Poor’, announced that all public servants would receive an additional allowance of Rs.2,500 from July 1, and that a pension adjustment would be made on the same day to remove all pension anomalies who retired before 2016. Despite the economic woes, the Government has made an additional allocation of Rs 40 billion for the increase of public servants’ allowance and Rs.12 billion to rectify the pension anomalies. In his two hour and fifteen minutes long Budget Speech, the minister also reminded the House that the salaries of public servants have been increased by 107 percent during the period of the current government. Several salient budgetary proposals include the removal of production tax imposed on small trucks, providing a free glass of milk for students in rural schools, increasing allocation for development of temples from Rs 500,000 to Rs 1 million, increasing allowance for persons with special needs from Rs 3,000 to Rs 5,000, allocating Rs 1,480 million to provide Rs 5,000 allowance for kidney patients, increasing the allowances given to armed forces and increasing the salaries of teachers.